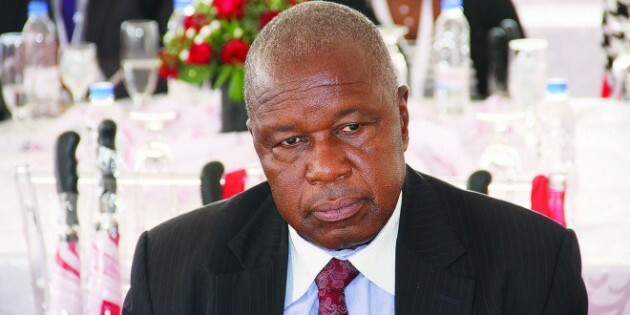 ZIMBABWE – A verbal war between Zanu-PF Politburo members Professor Jonathan Moyo and Cde Christopher Mutsvangwa escalated yesterday with Mutsvangwa challenging Prof Moyo to go for a DNA test, claiming the Tsholotsho North MP was the son of the late Zanu (Ndonga) leader Reverend Ndabaningi Sithole. Cde Mutsvangwa was addressing representatives of war veterans, ex-political detainees and restrictees during a regional stakeholder consultation workshop in Bulawayo when he fired his latest salvo at Prof Moyo, claiming the Higher and Tertiary Education Minister was a chameleon, whose life needs to be unpacked. In an earlier interview last month, Mutsvangwa said Moyo was Sithole’s nephew, which the denies. Cde Mutsvangwa, who appeared to be responding to media reports that Prof Moyo had threatened, through micro-blogging site Twitter, to take him to court, added: “I’m ready to go to court. Jonathan should shut up and stop commenting about the war. He went to America to follow his father. I’m now told that Sithole is actually his father. I want him to go for a DNA test and prove that he’s not a member of the Sithole family. “Just yesterday, I was talking to a member of the Sithole family. Jonathan’s stepmother has relatives who went to war. They know of Jonathan visiting Waterfalls in Harare, his father’s home. He’s a family thief. His stepmother says he stole some radios and other things when he left for Tanzania and the United States,” said Cde Mutsvangwa, who insists he has a clean record after Prof Moyo accused him of “being famed for stealing female underwear” during the war of independence in camps in Mozambique. He added: “I can’t have a personality clash with someone who was not at war. All I know is that he’s trying to talk ill about the war veterans. Just because he’s Sithole’s son, he thinks he’s royal blood, therefore, President Mugabe must defend him. He went to war thinking he will become a commander. When Sithole was removed, his dream of becoming a commander was dashed so he left the war. “We had to embrace people like Jonathan because the enemy had become so strong. The war veterans leader said as a diplomat, he related well with everybody except for Prof Moyo, whom he claims wants to be a dictator in the party. “He’s a stranger to the war and we’re not worried about him. Zanu-PF is a very strong party. I relate well with everybody except for some Professor who’s creating divisions in the party. “He can take me to court; I’ve no problem with that because that’s where he’ll be exposed. These are things that I don’t apologise for as the chairman of war veterans. We can’t have people from nowhere dictating what should happen in the party and the Government,” said Cde Mutsvangwa. When reached for comment Prof Moyo described Cde Mutsvangwa as a psychiatric patient adding: “Please don’t bother me with nonsense from a person who clearly needs everyone’s prayers as each day he opens his mouth he sounds like a serious candidate for Ingutsheni (psychiatric hospital). Prof Moyo added he will not be “scared by a guy who plays Rambo 36 years after the struggle”.